Drilling for gas and oil has always been dangerous, where employees are often involved in serious accidents. Even with highly restrictive safety regulations, a natural gas explosion fatality take place at work sites in the mountains, prairie, and offshore. Fracking and drilling operations are notorious for causing catastrophic accidents to workers and residents living close by. In addition to a natural gas explosion accident, gas company workers, plumbers, contractors and the public can be exposed to potential calamities including explosions and fire caused by natural gas. A natural gas explosion fatality is often the result of lack of training, worn or defective equipment, safety violations, cracked pipeline or improper safety inspections. Injuries involving a natural gas explosion accident usually produce permanent or temporary disability, and at times, wrongful death. Due to the hazardous nature of natural gas, components, devices and appliances need to be properly managed, installed and maintained. However, when manufacturers sell defective or substandard appliances and equipment, serious gas explosions can happen. When an equipment marketing company sells a defective product, or the contractor improperly installs or repairs the device, it can lead to serious injuries from an explosion. 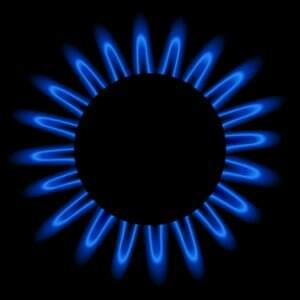 Seasoned personal injury attorneys are often successful in handling natural gas explosion claims. Working on behalf of the victim, our attorneys can determine responsibility, violation of safety regulations, and every legal remedy for obtaining financial recompense. Legal limitations might not stop with the victim's employer, or company management involved in the gas explosion. Many times, victims can pursue a claim against third parties responsible for deliberate or unintentional actions that caused the accident. Rosenfeld Injury Lawyers LLC at (888) 424-5757 offer a free no obligation review of the accident to provide legal counsel on the best way to proceed with a claim. The law firm can help obtain suitable compensation for the injured victim involved in a gas explosion accident with injuries or fatalities.